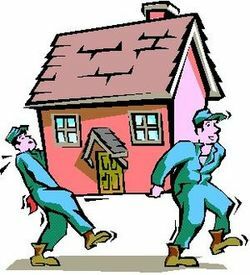 Moving residence can be a long, stressful and daunting process in itself. Nevertheless when moving home do not forget to notify all of your billing companies and your friends of your new address. This can save so many complications and misunderstandings later on. Here is a quick list of people, societies and parties that you might want to inform if you are moving permanent address. Credit institutions i.e. Banks, Building Societies, Credit Unions and Store Cards. Your points! Delivery Companies (If you have ordered anything on the internet). Do not fill out change of address forms on the back of suspicious mail. That’s how junk mailer track you. You do not want any of your personal details getting into the wrong hands. Instead you can send out change of address cards to their assign destinations. You could also consider renting a PO Box or a Vanity PO Box from An Post where you can either collect your post from your local postal services unit or you can arrange to have it delivered to your new home address. However be aware that not every business deliver, post, ship or send to PO BOX addresses. Details are available from An Post website PO Box Services or you can call them at CallSave 1850 26 23 62.